Heat-resistant, multi-purpose steel appliance holder with base. Holds 1 dryer with up to a 2-3/4" Diameter nozzle. 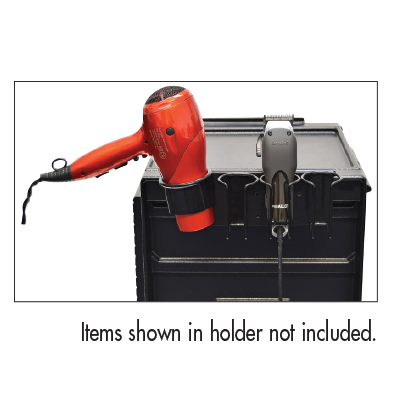 Holds 3 clippers with up to a 2-1/2" Diameter. 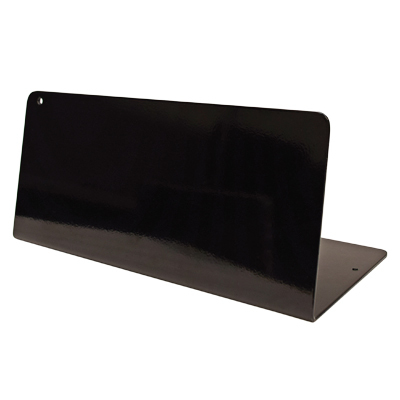 Can sit on a countertop or be mounted to a salon cart, trolley, or wall. Steel construction with black finish. 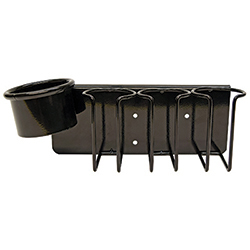 Includes a clamp, Velcro strips, and screws for secure mounting. 14-3/4"W x 4-1/4"H x 4" D.